Alessandro and Luigi Bessi’sVivaiPiante Bal offers its customers field gardening, a traditional growing method that allows to produce the various plant species according to their characteristics in the various seasons of the year. VivaiPiante Bal has modern and new agricultural machinery that has allowed to modernize the production processes in order to improve the productivity and quality of the plant species that are being grown. Field gardening is assigned to highly-qualified personnel, with a green thumb and a great knowledge of anything that concerns the gardening world. Every day our staff dedicates themselves with passion to growing plants with specific services that include transplantations lasting many years and bigger planting distances. By fertilising, irrigating, and pruning the shrubs with professionalism and competence and on time, we can maintain the quality of the plants that are being grown. 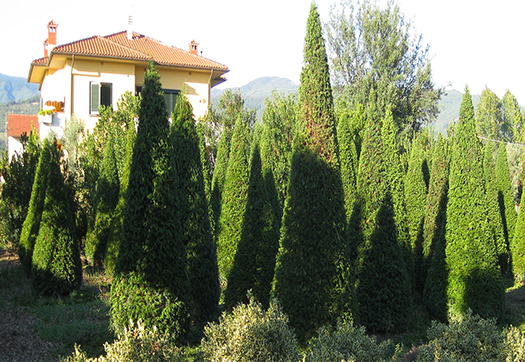 VivaioPiante Bal offers the best field gardening in Pistoia, as we are a nursery with many years of experience in the field. We wait for you on our premises to offer any kind of plant species and to meet all your needs.